Creating curated and customized learning interventions for women can help them bridge the capability gap and thus vie for the top positions. A lot has been said about the need for gender diversity and the need for diversity of thoughts, perspectives, and innovation. 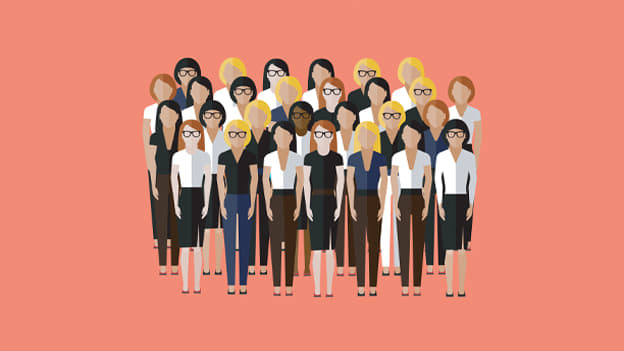 According to a McKinsey survey, there is a direct financial benefit to organizations as well- companies in the top quartile for gender diversity are 15% more likely to have financial returns above their respective national industry medians. The very fact that women constitute half of the talent pool should be reason enough for companies to encourage an equality in hiring practices. But the fact is that women don’t always even get an opportunity to prove themselves, let alone rise through the ranks. While there is progress in the form of initiatives, it is slow and at times can seem superficial. What is needed is the change that shakes up the inherent, conscious and subconscious biases and encourage diversity. Despite all the buzz around gender diversity, women remain underrepresented at the top of corporations globally.According to findings by McKinsey, at the college-recruitment level, fewer men than women are hired. But what is truly alarming is the rate at which their numbers decline as one moves up the corporate hierarchy, leaving only one in five top executives as a woman. This means that employers have blind-spots when it comes to diversity. A closer look at some of the key barriers include lack of flexible policies and support, lack of growth opportunities, lack of skill upgradation or learning opportunities and pay inequity. These reasons are a result of inherent biases against women, and because of this, we often perceive the workplace to be less fair and unsupportive. So how do we fix it? 1. Access to learning: Flexible learning models such as e-learning through multiple channels and devices, mobile learning, bite-sized learning like micro-learning can go a long way in creating flexible learning-moments for female employees. In the age of anytime, anywhere learning, women can especially benefit from this construct. 2. Personalized content: Learning content must be designed such that it is aligned to the competencies that are most relevant to today’s women leaders and aspiring women leaders. It is important to personalize the learning experience for the role, function, career level, etc. Women need to be offered content that is relevant to them – at the time of their career. 3. Sponsor opportunities: Only 54% of women report having access to a senior leader to support their career. This is a real gap which organizations must bridge by creating a sponsorship program by giving women access to key leaders (men as well as women) across the organization who can impact women’s responsibility, roles and ultimately careers. It is important to recruit the right role-models as sponsors, to create a real impact across the organization. 4. Networking opportunities: Building a strong network the right way is known to boost career advancement. Employers can support by encouraging women to represent the company at events and conferences, adding in a holistic perspective and industry recognition. All these learning resources should be made available continuously and not as disparate events so that they create the right impact. The use of technology can help foster continuous learning. It can further help create customized learning, time efficient and flexible options, introduce a variety of content, focus on competency and level based learning. One such example is the Women in Action Leadership Program which constitutes high-impact training resources designed for women leaders and aspiring women leaders. A curated learning strategy for women can provide the necessary impetus to gender diversity by helping women leaders overcome gender biases and build their leadership “brand.” This is the way to boost women in the workplace, but this way is worthless without a will. The will shall be built only when we learn not to be comfortable with the status quo. She is the Chief Creative Officer at Skillsoft.